Making homemade popcorn seasoning is so much easier than you would think. Today I’m showing you how to make 7 of my favorite flavors, from herby ranch to gingerbread! 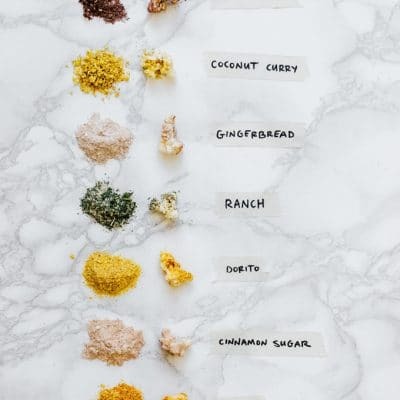 Mix: In a small bowl, combine the ingredients to your seasoning of choice. Pop: Prepare popcorn in either the microwave or traditionally on the stove. Spray or drizzle oil onto popcorn, tossing to evenly coat. Serve: Sprinkle seasoning over popcorn and toss to coat once more. Serve warm. Recipe from Live Eat Learn at https://www.liveeatlearn.com/easy-homemade-popcorn-seasoning/.